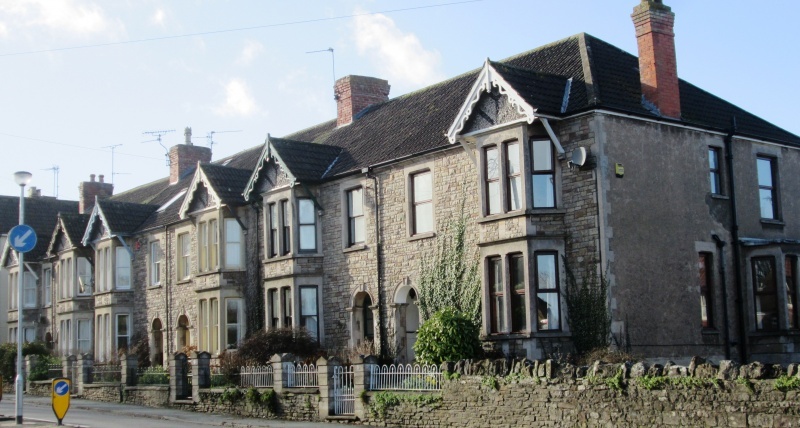 The above photograph shows a terrace of houses now called 21 to 31 Gloucester Road in Thornbury. The house known as 31 Gloucester Road in Thornbury was once called Alresford. The name was derived from the Appleby family connection to the place by that name in Hampshire. The name is still just visible on the left gate post in 2016. It is the the end house on the right in this photograph. Planning permission for the houses that became 25 and 27 Gloucester Road was submitted in 1920 by the brothers William Valentine and Charley Davis. The plans indicated that they anticipated two more being added at a later date. William Davis died in 1922 so the actual work of building the last two houses fell to Charley Davis with help from his youngest brother, Jim. We are not sure when this house was built but the earliest occupants that we can identify appeared in the 1935 electoral register. Donovan and Doris Marjorie Appleby appeared in the 1935 register. We understand that they rented it from Charley Davis. Donovan Appleby was born on 6th July 1896 in Exmouth, Devon. In 1901 he was aged 4 and living with his uncle in Wiveliscombe. In the 1911 census he was living with his parents, Henry John Appleby a bookseller, print seller and stationer and his wife, Mary Maria. They were living at 44 The Strand, Exmouth, Devon. During the First World War Donovan appears to have served in the Royal Suffolk Battalion attached to the Royal Middlesex battalion. We don’t know any more about his war service. Donovan married Doris Marjorie Claridge in the West Hammersmith district of London in 1917. She was born on 3rd April 1894 and she was the daughter of Thomas Withers Claridge and his wife, Janet Catherine (nee Childs). Her birth was registered in the Wandsworth district, although the 1911 census suggests she was actually born in Ongar in Essex. The census also tells us that Doris’s father Thomas was a ‘pensioned merchants’ agent’ aged 48 and that his wife came from Alresford in Hampshire. This is presumably why 31 Gloucester Road was called Alresford. We understand that Donovan Appleby worked at the National Provincial Bank on The Plain in Thornbury. He and his wife lived in Alton in Hampshire at first as the births of the first four children Josephine (1918), William (1920), Humphrey Gilbet (born 26th January 1924) and Sheila (1927) were registered there. We understand that they moved to Thornbury in 1928. The 1932 Electoral Register shows they first lived in Church Road. By 1935 they had moved to the much larger house in Gloucester Road (now number 31) opposite what was then the Grammar School. Three more children were born to the family after their move to Thornbury; David and Jane in 1934 and Carole in 1938. The parish records of St Mary’s church in Thornbury show that Donovan was a bank official and that the family lived in Alresford at the time of the baptisms of all the three children born in Thornbury. The register compiled in 1939 in preparation for the war shows Humphrey had become an apprentice in a drapery. In 1940 when their eldest child Josephine was married, she and her husband, Sidney Moss seem to have come to live in Alresford with her parents as the baptism of their daughter Susan shows that the couple’s address was also Alresford. We apologise for the rather poor quality copy of this photograph which was taken from a newspaper cutting. We are always grateful to receive more images. In 1951 the telephone book shows that Donovan was manager of the National Provincial Bank in Chipping Sodbury. We understand that Donovan was also the organist at St Marys Church at least for some of the time. He died on 29th April 1964 at 21 Bedford Road Weston Super Mare. Probate was granted to National Westminster Bank. Doris also died in Weston super Mare in 1975. Jane attended the National School and in 1946 she gained a place at Thornbury Grammar School. Humphrey also appears to have attended Thornbury Grammar School as ‘H Appleby’ submitted poems to the Thornbury Grammar School magazine in 1937. Following his apprenticeship in a local drapery he went on to become manager of the Camp Hopson department store in Newbury, Berkshire. He married Audrey Humphries in Devon in 1952. “Bill” Appleby, as he was generally known, was obviously well liked in Thornbury. He took an active part in the social life, especially sport. We have a photograph of him with Thornbury Town Football team which we believe was taken after the war. 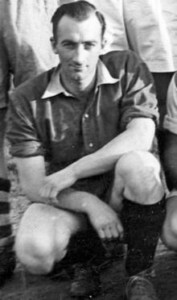 We have been told by one local that Bill was very quiet and gentlemanly but changed completely when playing football! He joined the Gloucestershire Regiment and the Thornburian magazine for 1939 reported that he was with the 5th Gloucesters on Salisbury Plain and billeted in Lawson’s Racing Stables. 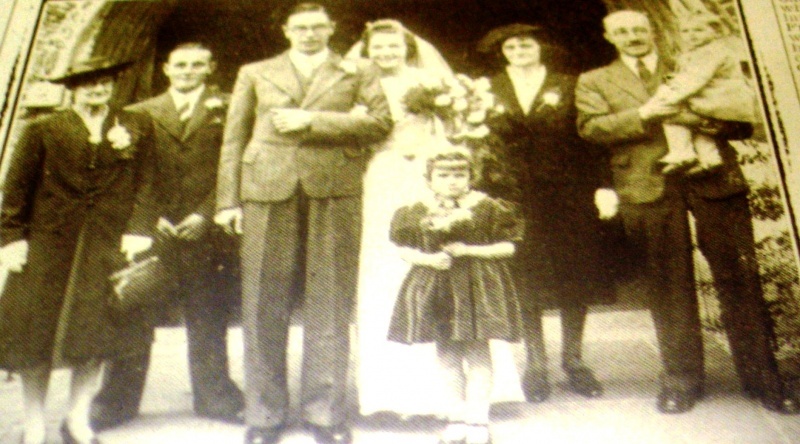 Bill married Clara Cholmondeley in the Darlington area in 1946. However the electoral registers show that they made 31 Gloucester Road their home with Bill’s parents. Their son Jonathan was born in Berkeley and his birth registered in Thornbury in 1947, daughter Geraldine’s birth was registered in Thornbury in 1950 and Paul was born in Clifton in 1955. Sadly Geraldine died after only a few days and her death was registered in Bristol. Bill and Clara continued to live in the house for the remainder of their married life. Clara Appleby died in Thornbury on 7th January 1993 and her death was registered in Bristol. William Donovan Appleby died on 5th February 1996 aged 75 and his death was registered in Bristol. They were buried in Thornbury cemetery. We would be very pleased to hear more about this property and the families associated with it.